On Wednesday, Boston Herald reporter Brian Dowling had this piece in the selfie local tabloid. 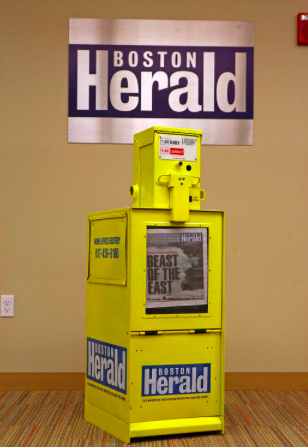 The Herald paid substantial salaries to its publisher and top executive as the newspaper’s finances grew dire and management directed the company to a bankruptcy sale, according to court papers. Patrick J. Purcell, the Herald’s publisher, took home $970,092 in the year prior to the company’s Chapter 11 filing in Delaware on Dec. 8, according to papers in the ongoing bankruptcy case. His compensation included fringe benefits of a golf membership and use of a company vehicle. Among others, Jeff Jacoby, late of the shaky local tabloid, applauded the paper for running the story (tip o’ the pixel to the redoubtable Dan Kennedy’s Media Nation). Now comes today’s piece by the Boston Globe’s Kevin Cullen, in which he whacks Purcell and waxes nostalgic about the feisty local tabloid. It was the perfect Boston Herald story: Greedy entrepreneur runs business into the ground, walks away to his myriad mansions with pockets lined with millions while working stiffs are left holding the bag. 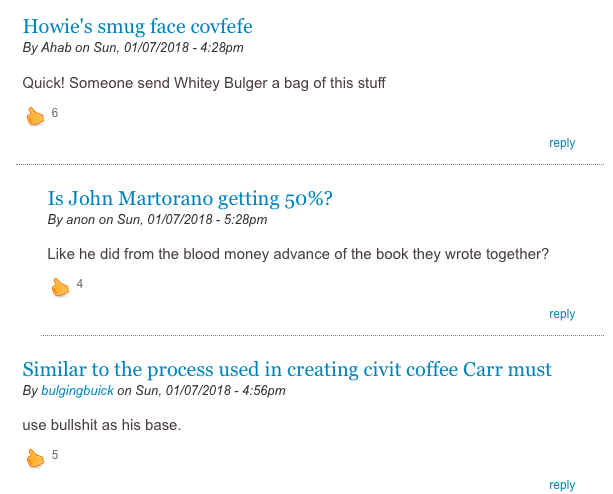 Remarkably, that story, which ran in Wednesday’s Herald pretty much straight, without typical tabloid excess, was about the publisher of the Boston Herald, Pat Purcell. It noted that in the year leading up to the Herald filing for bankruptcy and being put up for sale, Purcell was paying himself an annual salary of almost a million dollars, while doling out some $265,000 in salaries among his three daughters. If you ask me, the best argument for wanting the Herald to survive was on robust display when reporter Brian Dowling wrote that story and the Herald courageously printed it. Cullen’s column a far cry from this mash note Globe owner John Henry published when Purcell first announced the sale last month. 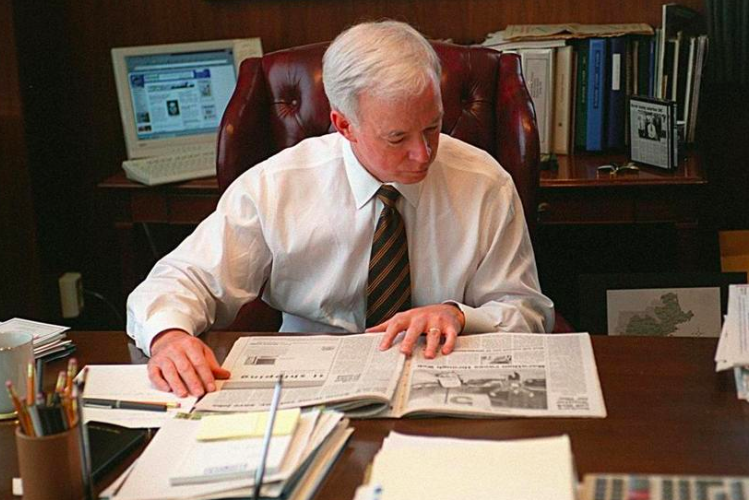 Patrick J. Purcell, longtime owner and publisher of the Boston Herald, is someone who has spent most of his adult life tending to one of the most essential tasks of our democracy: leading civic conversations that are sometimes contentious but are invariably important. While his efforts on behalf of journalism for the city are well known, the personal impact he has had on so many over decades isn’t as well known. Boston knows Pat as the driven media executive who long ago bought the Herald from Rupert Murdoch and infused it with a very strong vision for his adopted city. 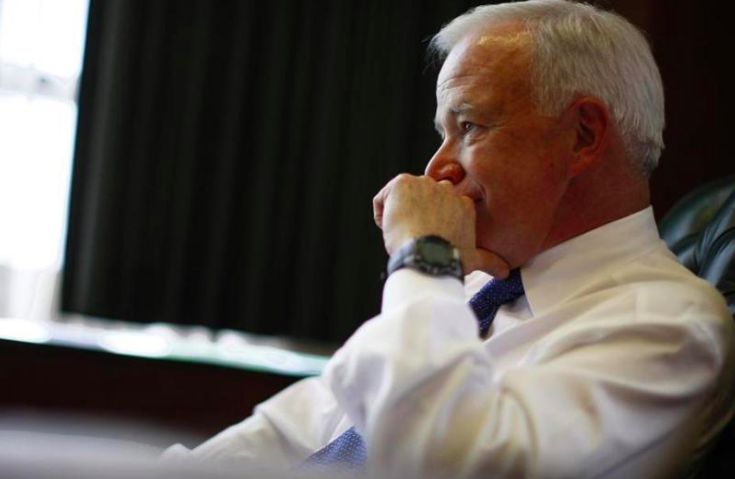 But he is also unfailingly described as a loyal friend and devoted family man, who landed here after a colorful career in New York and became a Bostonian to the core. Which, apparently, means greedy and heartless. Back when I was maybe 11 years old, my old man had left his job with American Airlines, ushering in the Bologna Years while he started his own business. I remember riding in the car one day when he asked the kids what he should call the new company, which was going to sell retread airplane tires. How about Honest John’s, I piped up. Remarkably, he ignored my fine suggestion and went with Adroit Industries. I was reminded of that episode when I saw this quarter-page ad in today’s Boston Herald. And the cost for this Signature Blend? A knee-buckling $10.99. Then again, gotta pay those fees at Mar-a-Lago, right? 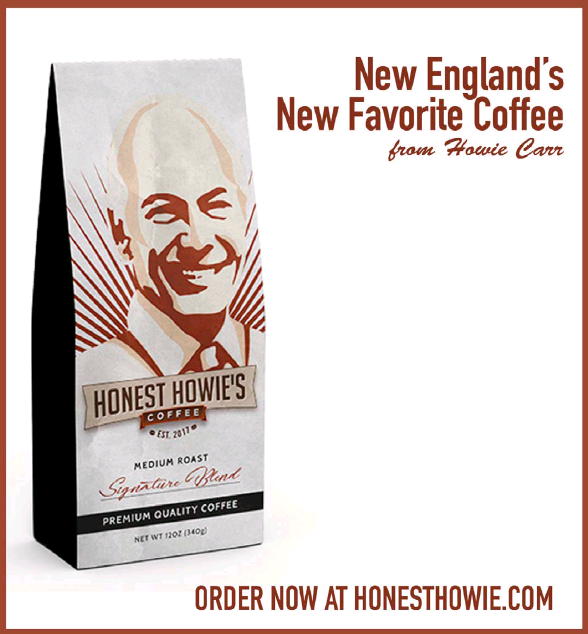 Or maybe Howie Carr(toon) is just preparing for the One-Daily Town era to arrive. The hardreading staff is sorry to say that this is the third time in a week we’re reporting from the LDD desk. (See here and here.) 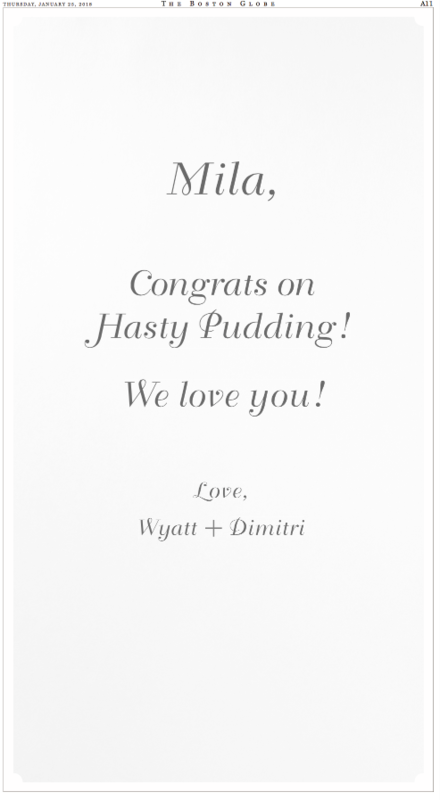 We fear we’ll soon be yielding to our kissin’ cousins at One-Daily Town. The Sports section in today’s Boston Globe features this two-page spread. With a slight detour through Cleveland, of course. But no stopping at the Boston Herald. 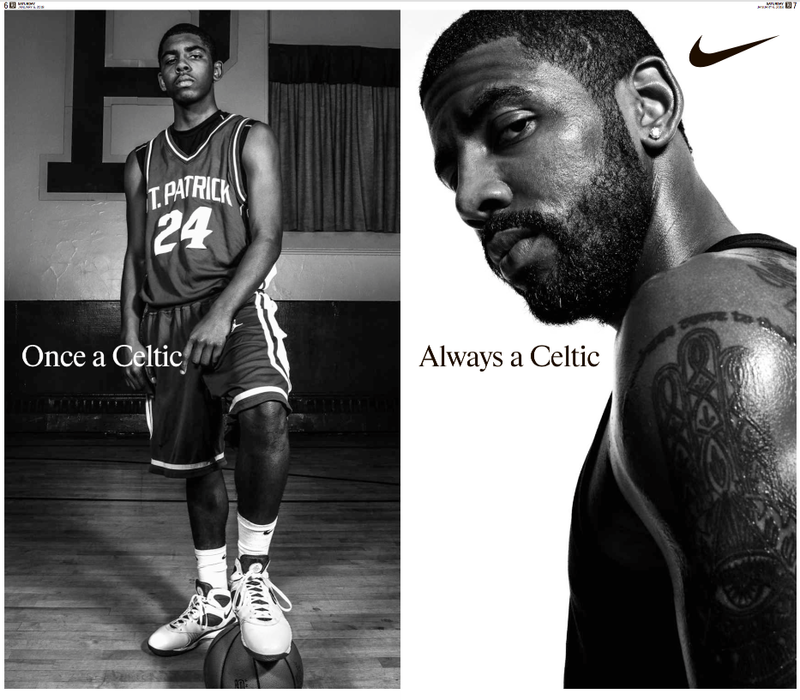 While we’re on the topic of Nike and Irving, here’s the new TV spot he directed and stars in. Gronk, Sun Tzu, flat earth, plant-based diet – totally memelicious, as SB Nation’s Tim Cato chronicles. None of which, however, does any good for the thirsty local tabloid. For several years now, JetBlue Airways Corporation has had an interesting tagline attached to its logo. Except not you, JetBlue pilots. 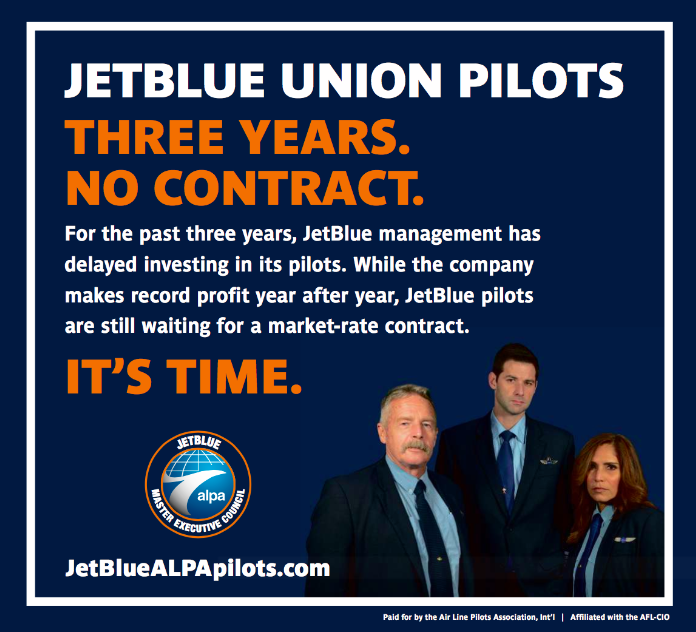 According to an Air Line Pilots Association press release, JetBlue has experienced five straight years of earnings growth, but its pilots have gone almost three years without a contract. Through the first nine months of 2017, JetBlue has reported over $751 million in pretax profit (a 14.3 percent margin), bringing the total to more than $2.5 billion over the last two years since the pilots have been negotiating with the company. Meanwhile, the pilots are still without their first contract since unionizing in 2014, and without market-rate pay. Consequently, the pilots have 1) filed for mediation from the National Mediation Board, and 2) started running this half-page newspaper ad – yesterday in the Boston Globe, today in the New York Times, but not at all in the Boston Herald. At its website, the JetBlue pilots have a clever slogan and a count-up clock. No doubt the thirsty local tabloid would settle for Ad Contract Above All. Full disclosure: The hardreading staff forgot to get an MBA, so we might be off in this analysis. But the two bids to buy the Boston Herald clearly have very different interests at heart. Start with the new offer from Revolution Capital Group, as described today by Herald reporter Brian Dowling. 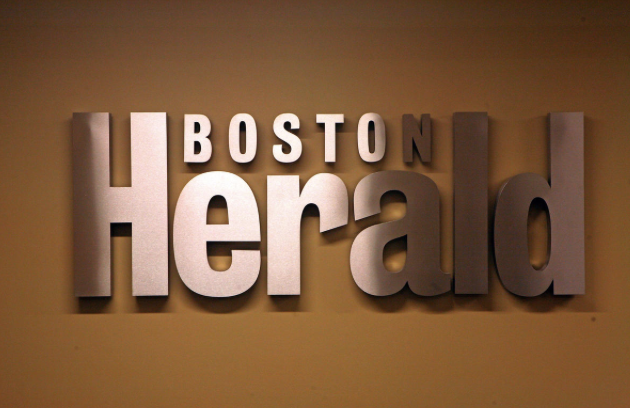 A Los Angeles investment group is pledging a $5.75 million bid for the Boston Herald, the second public bid for the tabloid since it filed for bankruptcy in December. Revolution Capital Group filed its bid yesterday with the federal bankruptcy court in Delaware. The company previously offered to buy the Herald in 2013. Components of Revolution’s bid add up to more than the $5 million offer that newspaper giant GateHouse Media made last month. Crosstown at the Boston Globe, Jon Chesto reminds us what the deal is with GateHouse. GateHouse proposed paying $4.5 million in cash, as well as at least $500,000 in assumed liabilities, including paid time off owed to employees. Unless our math skills fail us, that means Herald owner Pat Purcell gets $1.5 million less from a sale to Revolution, while employees at the shaky local tabloid get $2.25 million more. Maybe that’s why “[the] new bid drew immediate praise from the Communications Workers of America, which represents more than 100 unionized workers at the Herald,” according to Chesto. But Poynter Institute media business analyst Rick Edmonds points to Revolution’s acquisition of the Tampa Tribune in 2012, which it then sold to Poynter, owner of the Tampa Tribune, four years later. Edmonds told Chesto he thinks Revolution would likewise flip the Herald in a few years. It’ll be interesting to see how the bankruptcy judge sorts that out. You are currently browsing the It's Good to Live in a Two-Daily Town blog archives for January, 2018.